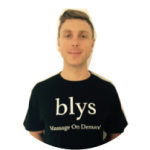 Michael specializes in Sports Massage , Swedish Massage, Pregnancy Massage and Remedial Massage. Great massage! Michael was the perfect therapist for relieving my tight muscles. And in my own home 🙂 Very professional & I had to move the time so thank you for accommodating me. M. Blys fits in well with the life I lead as well as great staff who run Blys. M. Yes very much so everyone walks out taller and happier from a massage with myself. M. I feel 10 year younger, your the best. M. Northern beaches and riding my bike around akuna bay on my days off.